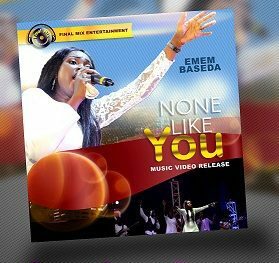 A dynamic gospel music singer, Emem Baseda is prepping for the release of None Like You video; the song was released in June 2017, it has blessed so many lives and is still making waves everywhere. To whet our appetite, she has just released the snippet of the video. Watch below the snippet of None Like You video. Emem Based is blessed with a sonorous voice sweeter than the middle notes of a cello. She discovered her talent and passion at a very tender age. Her vocal prowess enthroned her on many podiums across the divide. She joined many singing groups such as, Holyghost Ambassadors, WHOFA, The Lutheran National Youth Choir and Full Life Mass Choir. Not long, her dreams and vision were surpassed. With her vocal pedigree and strong christian values, she was found worthy to share the stage with world renowned gospel artist such as, Shirley Ceasar, Don Moen and Don Macklurkin. She has performed on stage with Nigerian Ministers like, Freke Umoh, Ity Dennis, Hope Davis, Buchi, Steve Crown.